How to become a silicon level security professional? Hardware attacks are often thought to be about spying bus on a circuit board (PCB) or being about measuring an Integrated Circuit power consumption (SPA, DPA, …) in order to extract its cryptographic keys and injecting faults by various ways (clock and power glitches, laser fault injection, EM attacks,… ) to modify the running firmware. This picture is incomplete as it does not consider Invasive Attacks. Those are performed by skilled expert teams having Failure Analysis capabilities such as deprocessing ICs, taking ultra high resolution pictures of each of their layers and Reverse-Engineering the circuitry. This last step is used to find ways of extracting the circuit content (both software through circuit modification and probing and hardware in the form of netlist and layout extraction). Integrators are left alone when it comes to choosing an IC for their applications. 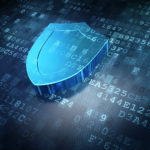 Certification schemes give an accurate status about the chip protection against side channel and fault injection attacks but do not cover invasive attacks as they should do. This is damaging most industries whose business models rely on creating margin on consumables (printer ink cartridges, video game controllers, …). Indeed with the improvement of the pirate skills, extra threats such as counterfeiting (video game cartridges, pre-paid card systems, …), hardware backdooring among others are yet to be considered and fought against. pirates can achieve with Invasive Attacks based on silicon Reverse-Engineering. 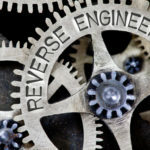 It also aims at providing chip designers (frontend and backend) with the Reverse-Engineer mindset so as more efficient counter-measures can be build. Integrators will find the keys to understand the threats and associated risks to include in their design the most suitable chip for their given application. On top of that, the training is also tailored to giving the skills for strategizing Invasive Attacks for any type of ICs (FPGA, microcontrollers, microprocessors and SOCs) approached as a black box. Students will go from transistor theory to building attacks based on real case scenarios. Furthermore, “IC RE & Attacks 101” is the ideal training material for new employees who need to be prepared to develop resilient secure systems. Moreover, at Texplained we offer a complete ecosystem of products and services dedicated to the semiconductor and their security. Our one goal is to bring a deep comprehension of ICs, for a better protection of those against piracy and counterfeiting. design, manufacturing, product on the market,…); we help them protect their assets when hardware IPs have been infringed; and we provide the material for them to analyse ICs and benchmark them against others with our new website www.texplained.com. The resource material available on this new website can help integrators, chip designers and security researchers to study a variety of marketed chips and to get information about their strengths and weaknesses. Then, « IC RE & Attacks 101 » is a very nice introduction to optimize the use of the material available on our website. If you are interested in hardware security, you can now rely on www.texplained.com resources to start your investigations without the need to find a potentially expensive service laboratory next door. If you want to construct a dedicated team, Texplained will be on your side to give you the useful skills through “Integrated Circuit Reverse-Engineering and Attacks 101” at international security conferences such as Recon, Hardwear.io, Black Hat, or directly on your site.